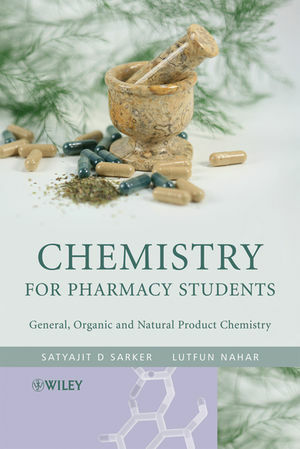 Chemistry for Pharmacy Students is a student-friendly introduction to the key areas of chemistry required by all pharmacy and pharmaceutical science students. The book provides a comprehensive overview of the various areas of general, organic and natural products chemistry (in relation to drug molecules). Clearly structured to enhance student understanding, the book is divided into six clear sections. The book opens with an overview of general aspects of chemistry and their importance to modern life, with particular emphasis on medicinal applications. The text then moves on to a discussion of the concepts of atomic structure and bonding and the fundamentals of stereochemistry and their significance to pharmacy- in relation to drug action and toxicity. Various aspects of aliphatic, aromatic and heterocyclic chemistry and their pharmaceutical importance are then covered with final chapters looking at organic reactions and their applications to drug discovery and development and natural products chemistry. Dr Satyajit Sarke BPharm (Hons) MPharm PhD FHEA. Reader in Pharmacy; Course Director, BSc (Hons) Pharmacology; Chair, MPharm Course Planning Committee; Chair, MSc Pharmaceutical Sciences Course Planning Committee; Owner and moderator: www.jiscmail.ac.uk/natprodis and www.jiscmail.ac.uk/pharmed; School of Biomedical Sciences, University of Ulster at Coleraine, Northern Ireland, UK. Dr Lutfun Nahar. School of Biomedical Sciences, University of Ulster at Coleraine, Northern Ireland, UK.